Banner Moments NEH K-12 Teacher Institute—Off & Running! COLLEGE PARK, MD: Supported by a generous grant from the National Endowment for the Humanities, the University of Michigan’s American Music Institute in cooperation with the Star Spangled Music Foundation, the University of Maryland School of Music, and the Hampsong Foundation has begun a national K-12 summer teacher institute with 29 teachers from across the United States. Titled Banner Moments: The National Anthem in American Life, the institute explores issues of American identity through music, centered on the story of our national anthem and American patriotic song. 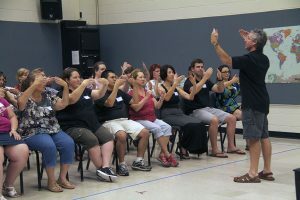 Music teacher Daniel Tolly (Ann Arbor Public Schools) began our first session today with an interactive session titled “O Say Can You?” in which participants were challenged to develop their own musical skills. Tolly modeled a range of teaching strategies, that emphasize attention, focus, intellectual and emotional engagement. Institute co-directors Susan Key and Mark Clague then offered an overview of the programs, followed by a discussion of our principal humanities themes centered on reactions to Jimi Hendrix’s 1969 Anthem performance at Woodstock. 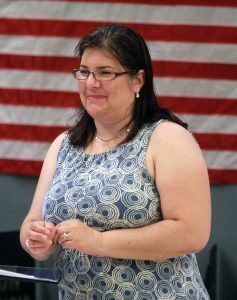 University of Maryland Baltimore historian Anne Sarah Rubin then offered a session on early American political history taking us from the Revolution up to the War of 1812, which will be our focus with our guests for day 2—Ginger and David Hildebrand of the Colonial Music Institute. 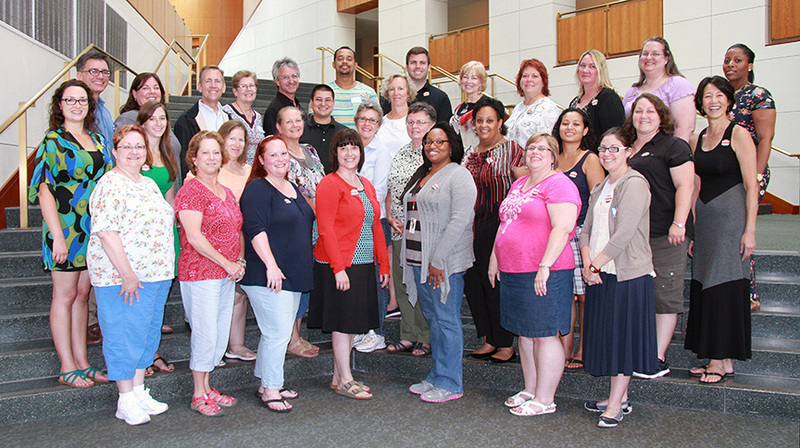 3 Responses to Banner Moments NEH K-12 Teacher Institute—Off & Running! The first day flew by! Amazing how much can be learned in a short period of time.